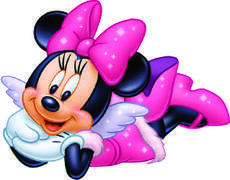 Put on your mouse ears and lets hear it for Minnie Mouse! Lotza Party theme parties are a great way for busy parents on the go to purchase an entire birthday package. Lotza Party has included all your party needs so you can relax and enjoy your childs special day. Our cast members will drop off your theme party the morning of your event and pick up your party rental immediatly after your party ends. Lotza Party offers great party upgrades like hosts and servers or sweet tasting concession rentals.